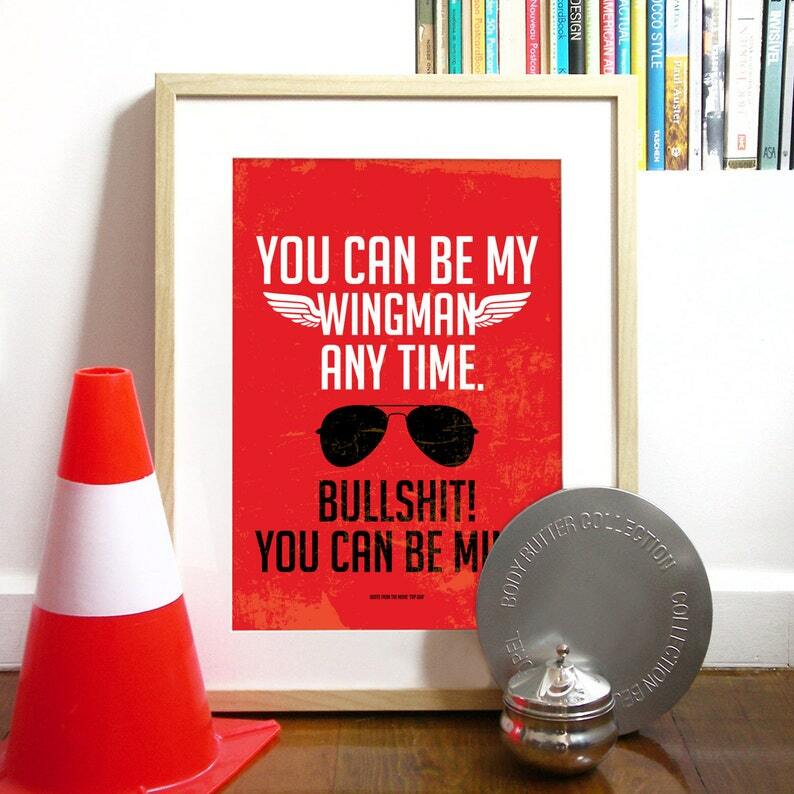 Top Gun movie Poster inspired by the famous movie quote when Iceman says: "You can be my Wingman any time" and then Maverick answers... "Bulshit! You can be mine." Great movie, great quote :) And what woman hasn't seen this movie at least 15 times... :) Always a classic to have around and to be part of your home decor or to give as a present. This listing is in MARASCHINO Red (see the other possible colors - 3rd ('Teal') and 4th pictures (multiple color examples), but I can do it in other colors (as you can see in the fifth picture where I show several color possibilities) just choose your color on the drop down color menu. This print is carefully shipped via registered mail in a sturdy mailing tube for maximum protection.